The Syrian army, backed up by fighters from Iran’s Lebanese Shiite militia Hezbollah, is trying to retake several rebel-held districts in the central city of Homs. The Khalidiya and Old City neighborhoods of Homs have been under army siege for nearly 450 days and since late June have come under steady shell and rocket fire as well as airstrikes in a withering offensive by the regime. This week, the reputed UK-based watchdog known as the Syrian Observatory for Human Rights warned that civilians and rebels caught in a small segment of the city, covering barely two square kilometers in the center, are dying for want of medical equipment to treat the injured. 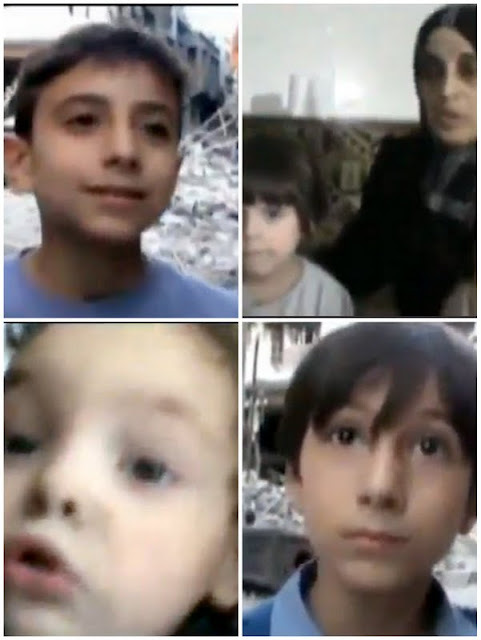 Yesterday, to mark the first day of the Muslim fasting month of Ramadan, Alarabiya TV news channel aired a heart-rending video clip of one minute and 22 seconds in which a mother and three randomly chosen children speak of the protracted shortage of food in their Homs district. First boy: I miss eggs, vegetables, tomatoes, potatoes, and an eggplant. Second boy: I crave a cucumber only – one cucumber and a tomato. May Allah deny him (Assad) of His help. He (Assad) deprived us of everything.